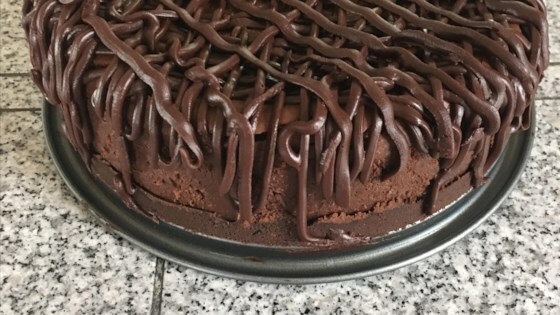 "This cheesecake is made with bittersweet chocolate. Beautiful garnished with fresh mint leaves." Grind the chocolate wafers and 3 ounces of chocolate in a food processor; the crumbs should be small. Mix in 3 tablespoons of sugar. Melt 7 tablespoons of butter or margarine, and add it to the chocolate crumbs. Press into the bottom of a 9 inch springform pan. Melt 12 ounces of chocolate, and cool slightly. Blend in cream cheese, 1 3/4 cups sugar, eggs, 1/2 cup cream, cocoa, vanilla, and peppermint extract. Pour this in crust. Bake for one hour at 350 degrees F (175 degrees C). Cool overnight. In a small bowl, mix together the sour cream and 1/4 cup sugar. Pour on top of cooled cheesecake. Bake for 20 minutes at 350 degrees F ( 175 degrees C). Chill for 6 to 8 hours. wonderful cheesecake. As expected, it was quite rich and had a great subtle mint flavor. I used white creme de menthe in the sour cream topping for a little additional mint flavor.